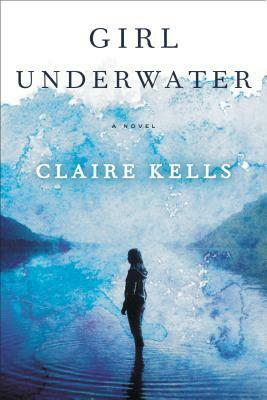 Goodreads: Nineteen-year-old Avery Delacorte loves the water. Growing up in Brookline, Massachusetts, she took swim lessons at her community pool and captained the local team; in high school, she raced across bays and sprawling North American lakes. Now a sophomore on her university’s nationally ranked team, she struggles under the weight of new expectations but life is otherwise pretty good. Perfect, really. Kritters Thoughts: A survival story that was so unique and I loved it. Avery is on a plane headed home for a holiday break from college and a guy that she isn't too thrilled about ends up in the seat next to her and as the plane is going down she may be glad that he is there. The two of them and three little boys survive the crash, but will they survive the wilderness. I loved how this book was written. I will be a little vague in my review as to not spoil one iota of this book! So let me say - I loved it. There is some interesting way that each chapter fits together and I really enjoyed how the story flowed. The one thing that made me smirk and felt too convenient was that the main character is a legit swimmer and daughter of a doctor and has to use these skills while they are stranded. It just felt a little too easy, but it didn't ruin the whole book for me, just made me a smile a time or two. I know this review may feel disjointed, but I just didn't want to spoil this one because it is so good and I want to encourage you to run out and get it! If you have read a survival story and it didn't meet your expectations - try this one. Disclosure of Material Connection: I received one copy of this book free of charge from Dutton. I was not required to write a positive review in exchange for receipt of the book; rather, the opinions expressed in this review are my own.